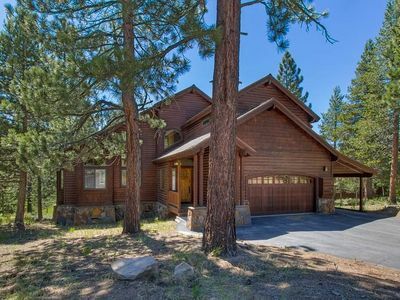 If you are looking for a getaway in the Truckee area this home is perfect for you. 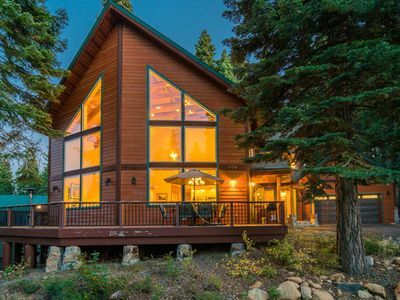 With four bedrooms and three bathrooms, this home can sleep up to 10-12 people. 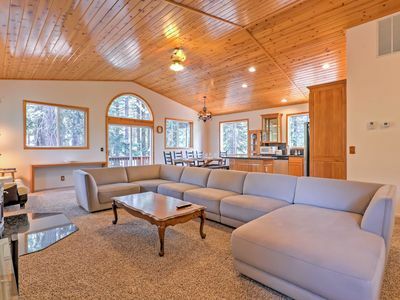 Entering the home you will find the open kitchen and living room area. 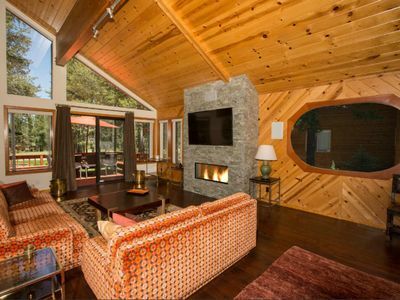 The floor to ceiling windows let in an abundance of natural light. 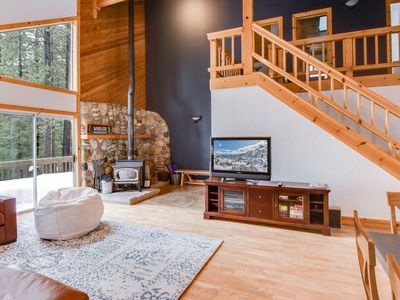 The living room holds a large flatscreen television. 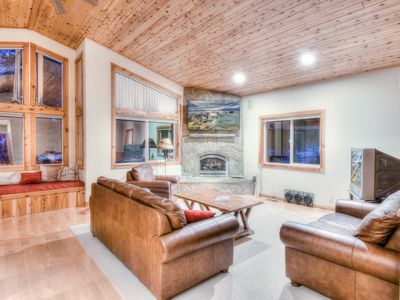 You can cozy up around the fireplace in the winter months on the large comfortable couches. 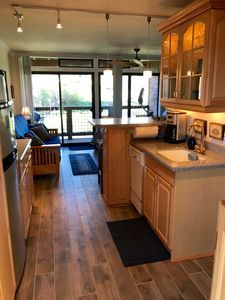 The living room leads right into the kitchen area where you will find updated appliances and seating for the entire family. 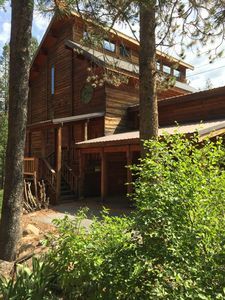 The main floor also holds three of the four bedrooms. 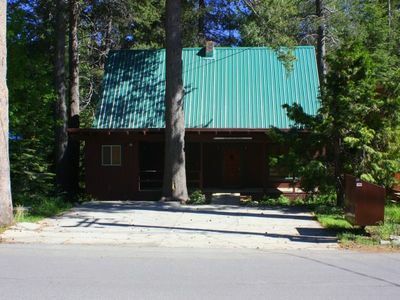 Bedroom 1 is a master and has a king bed and en-suite bathroom, bedroom 2 has a queen bed, and bedroom 3 has a day bed with a trundle bed underneath and twin bed bunked over a full bed. There is also a full bathroom on this floor. 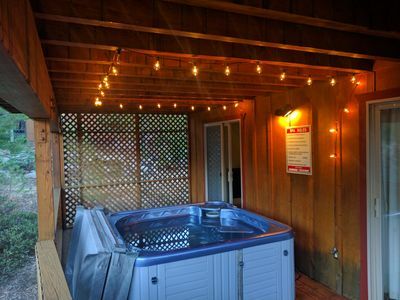 Downstairs you will find the game room which features a pool table. The second master bedroom is also located downstairs, this holds a king bed and an en-suite bathroom with a walk-in shower. 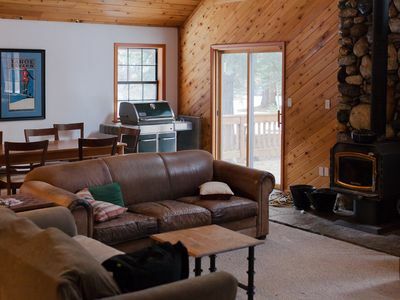 For additional sleeping arrangements, there is a sleeper sofa available and an air mattress. 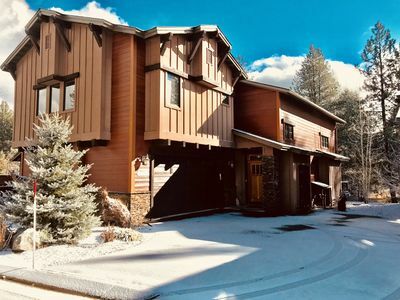 This home is perfect for a family looking to have a wonderful Tahoe experience as guests will have access to the Tahoe Donner HOA and all of its amenities. 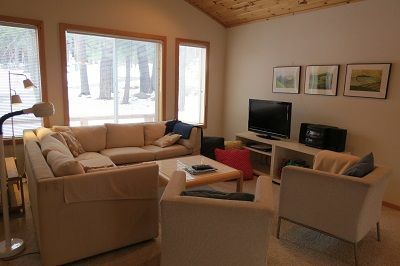 There is plenty of space for up to three families and will keep you coming back for years to come. 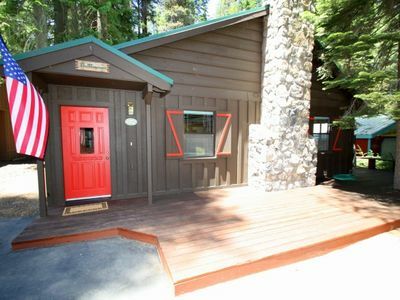 Gorgeous Updated Cabin Overlooking Donner Lake! 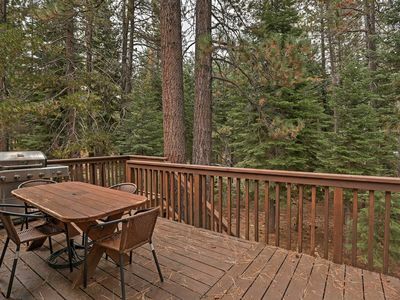 View Tahoe Donner Ski Hill from a Cozy Third Floor End Unit Studio! 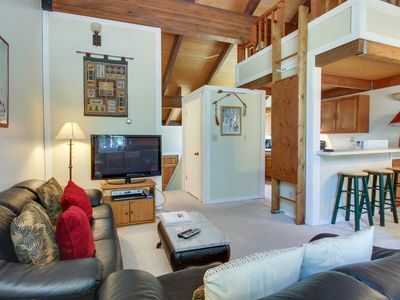 Mountain Hideaway With Modern Conveniences. Pet-Friendly. 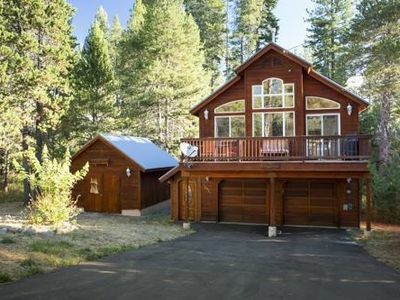 Tahoe Chalet Living at its Best! 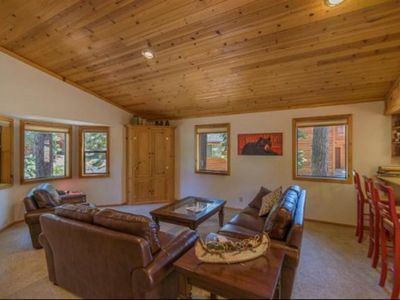 Northstar condo w/free shuttle to skiing, pools & hot tub! 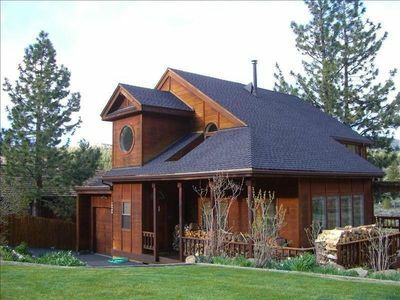 ‘Golden Bears Lair’ Truckee Resort House w/ Deck! 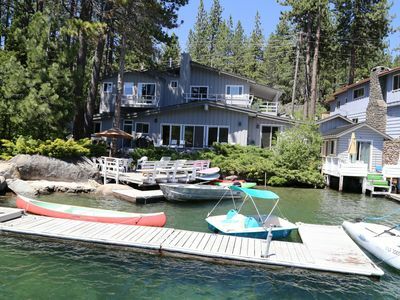 Upscale home w/ shared pool, hot tub, tennis, golf, marina and much more! 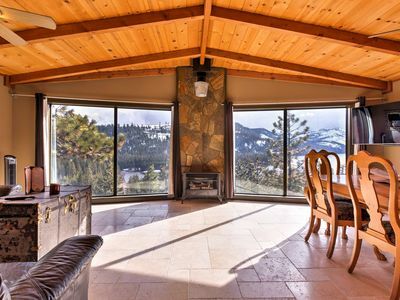 Light and bright Tahoe Donner Gem!